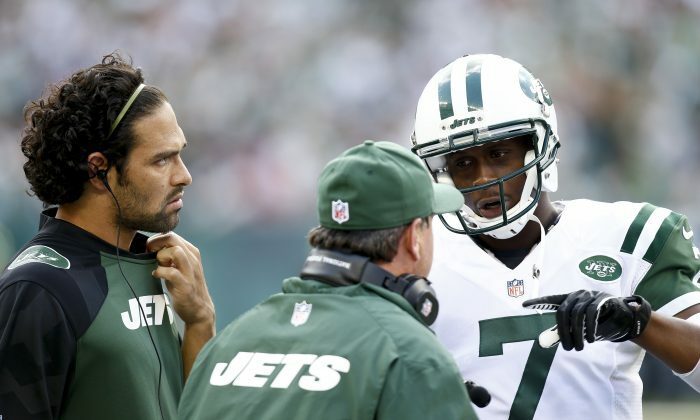 It’s been nearly nine months since John Idzik took on the unenviable task of fixing the mess (and joke) that was the state of the New York Jets. Coming off consecutive non-playoff seasons the team was low on skill players and in need of a major rebuild. Not to mention the all-important quarterback position was in dire need of an upgrade, yet still financially shackled to the incumbent, Mark Sanchez, who had yet to develop. Making things even more interesting was a popular lame duck coach on the sidelines with a year left on his contract. Unlike past offseasons the Jets stayed mostly under the radar with personnel moves and chose to be bargain hunters. Players like G Willie Colon, RB Mike Goodson, RB Chris Ivory, S Dawan Landry, LB Antwan Barnes, and TE Kellen Winslow have all been steady contributors thus far for Rex Ryan’s group. This is a change from previous years when the Jets lavished money on players like Bart Scott and Calvin Pace. The short-term effects are fine, but the long-term consequences have been serious. Finding a taker for Revis is one thing. Idzik though held out as long as he could and finally secured a first round pick from Tampa Bay for a guy coming off major knee surgery, while wielding a fat contract. It was an unpopular decision to trade the team’s best player and possible Hall-of-Famer in Revis but it was the right decision. The Jets weren’t a veteran team with the window closing on a possible Super Bowl ring—far from it—and trading Revis for draft picks was the actually the quickest way to get back on course. Of course Idzik needed to capitalize on those picks. Armed with two first-round picks (thank you very much Darrelle Revis) the Jets got CB Dee Milliner and DT Sheldon Richardson. Richardson has flat-out dominated on the defensive line as the Jets have the front with the most fun in the league with young players like Quinton Coples, Muhammad Wilkerson, Damon Harrison, and Richardson. Imagine if Milliner were healthy, where this Jets defense would be now. While you’re imagining, imagine if they didn’t take Geno Smith in the second round. The move, which was highly criticized after Smith fired his agents one day following his fall from the first round, has paid off so far. Not only is he a mobile quarterback that used his speed to set up game-winning field goals against Tampa Bay and Atlanta, the guy throws a great deep ball. Plus, when he’s focused on not turning the ball over (see: Monday night in Atlanta) he’s a huge improvement over Sanchez. Granted, judging a draft class after five games is not always fair, but the returns are looking good so far. Ditto for Idzik.